Everyone comes together to celebrate this important holiday! 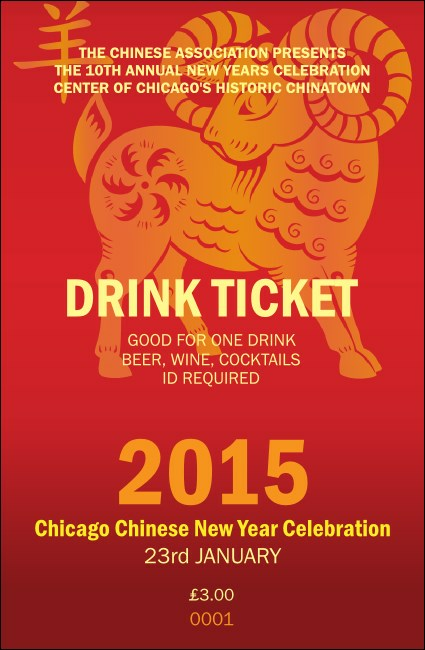 Help your cultural festivities run smoothly with the gorgeous Chinese New Year Goat Drink Ticket. An intricately designed goat makes an impression on the rich red background. Pair with a Matching Event Kit for coordinating tickets, posters, and invitations. Raise a glass to good luck ahead with UK Ticket Printing.